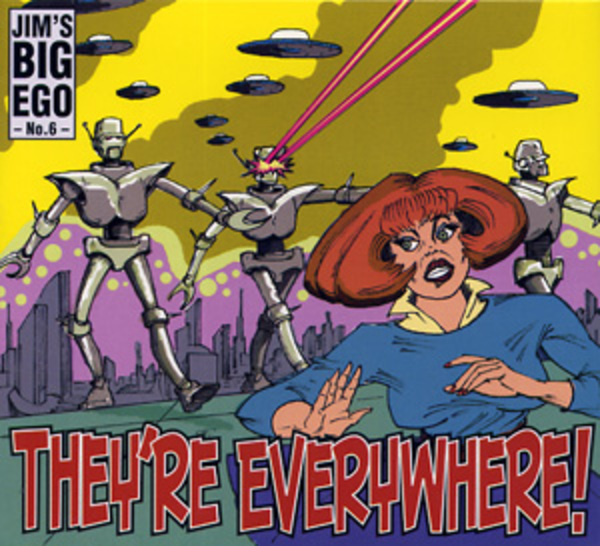 They're Everywhere is the fourth full length Jim's Big Ego studio release and their first in three years. They're Everywhere is one of the first major independent CDs to be released under a "Creative Commons" license, which unlike a traditional copyright, officially sanctions public sharing of music as long as it's not for profit. Drums tracks performed and edited by Dan Cantor. Jim's vocal tracks recorded and edited by Jim and Dan. Most background vocals recorded and sung by Jesse and Dan. Ducky Carlisle engineered the rest and kicked some but with mixes.